[패턴영어회화] Don’t you ever~! 어떤 경우라도 ~하면 안 돼! 어떤 경우라도 ~하면 안 돼! 어떤 경우라도 절대 음주 운전은 안 돼! 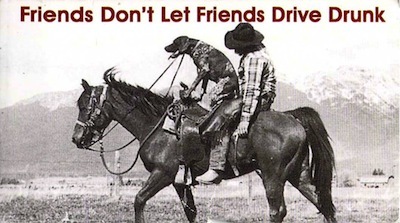 Don’t you ever drive drunk! 어떤 경우라도 절대 나에 대해 이야기 하면 안 돼! Don’t you ever talk about me! 어떤 경우라도 너에 대한 믿음을 멈추면 안 돼! Don’t you ever stop believing in you! 어떤 경우라도 운전 중에 전화로 수다 떨면 안 돼! Don’t you ever gab on the phone while driving! 어떤 경우라도 예금을 축내면 안 돼! Don’t you ever dip into your savings! 어떤 경우라도 절대로 나 없이 놀러 가면 안 돼! Don’t you ever hit the town without me! 어떤 경우라도 하고 싶지 않는데 등을 떠밀면 안 돼! Don’t you ever volunteer my name! 어떤 경우라도 우리가 함께 나누었던 것을 잊으면 안 돼! Don’t you ever forget what we had! A: Don’t you ever drive drunk! A: Don’t you ever dip into your savings! 어떤 경우라도 예금에 손을 대서는 안 돼! B: I would, only for an emergency. A: Don’t you ever forget what we had! B: That’s water under the bridge.